It's 2015 and still we hear Republicans describe a woman's role in society as "Barefoot and Pregnant". What is it that makes these right-wing people so afraid of a human females' advancement? Never mind, it doesn't really matter what motivates their fear of women. What does matter is females like Karen Lee Orzolek could never return to the nonsensical days of yesteryear when a popular closed minded columnist would write an article for the Pittsburgh Dispatch, titled, "What Girls Are Good For," in it, Erasmus Wilson wrote that women belonged in the home doing domestic tasks and called the working woman "a MONSTROSITY." Over a hundred years later Erasmus Wilson's ideology still lives. 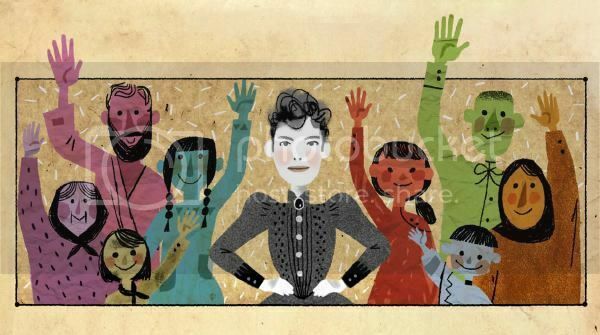 (CNN)Tuesday's Google Doodle pays tribute to trailblazing journalist Nellie Bly on her 151st birthday with a melodic ode. "Oh, Nellie, take us all around the world and break those rules 'cause you're our girl," the song goes. If you listen closely, you might recognize the voice of Karen O, lead singer of Yeah Yeah Yeahs. The indie rocker, whose real name is Karen Lee Orzolek, penned "Oh, Nellie" to go with the doodle of Bly, who was born Elizabeth Jane Cochran on May 5, 1864. It's the first original song to be written for the delightful illustrations that appear on Google's homepage. The song formed the basis of Google artist Katy Wu's doodle, which is also the first to feature stop-motion animation. The musical animation pays homage to Bly's extraordinary life as a pioneering journalist and adventurer in an era when little more was expected of women than child rearing and housekeeping, Wu said. As Wu sees it, Bly and Orzolek have plenty in common even if they were born more than a century apart. They're bold, edgy and daring, unafraid to challenge conventional ideas of what a woman should be or do. "If you see her onstage, she's daring in her own way," Wu said of Orzolek. "She doesn't conform; she does what she wants." Compare that with Bly, who got her first job with the Pittsburgh Dispatch by penning an impassioned condemnation of its most popular columnist. In the column titled "What Girls Are Good For," Erasmus Wilson wrote that women belonged in the home doing domestic tasks and called the working woman "a monstrosity." The first line in the Karen O's song evokes the column: "Someone's got to stand up and tell them what a girl is good for." Cochran's letter impressed the paper's editors, and they hired her. 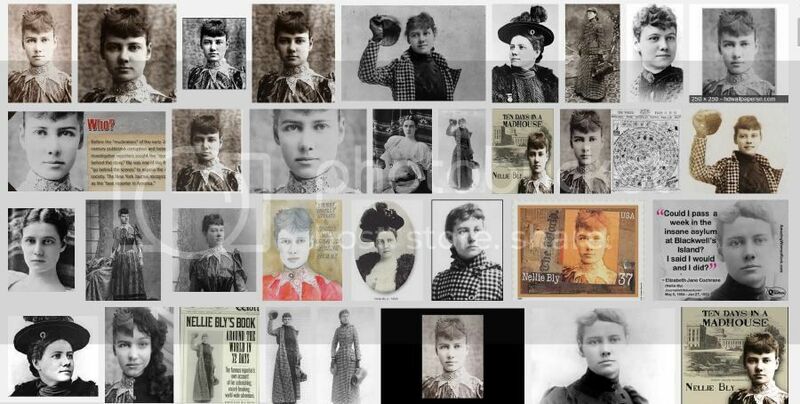 She started writing under the pen name "Nellie Bly." She eventually talked her way into the offices of Joseph Pulitzer's New York World and took on an assignment that would change her life. She spent 10 days posing as a mental patient in New York's notorious Blackwell's Island and returned with stories of cruel beatings, ice cold baths and forced meals. Her reporting led to reforms of the system and set the tone for her career. She exposed corruption and the injustices of poverty by telling stories of the disenfranchised, the poor and women. When she covered the Chicago Pullman Railroad strike in 1894, she was the only reporter to share the strikers' perspective. As the song goes, "We've got to speak up for the ones who've been told to shut up." She reached the height of her fame when she took a whirlwind trip around the world in 1889 to beat Phileas Fogg, the fictional hero of Jules Verne's "Around the World in Eighty Days." She returned to New York in 72 days, beating Fogg's record of 80 days. All those moments figure in the doodle, which took Wu about two months to create in a sort of labor of love. She hopes Bly inspires others to question authority and challenge expectations. "She gave women a space in newspapers when they were generally preserved for men's perspectives," Wu said. "She gave women a voice in current events and media and dared to do a lot of things that women weren't generally allowed to do."